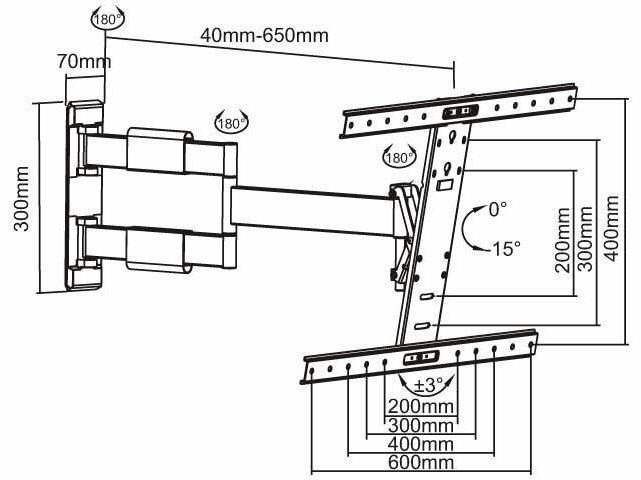 The M VESA Flexarm Thin is a one of kind swing-out wall bracket that extends to a massive 650mm from the wall and provides 15 degrees of downward tilt, 180 degrees swivel and +7 / -3 degrees level adjustment. 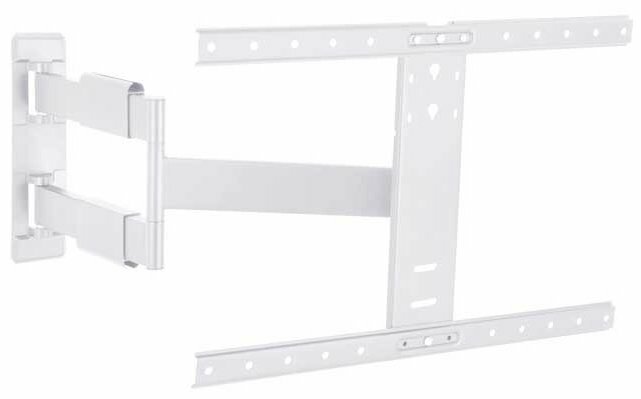 This makes it possible to achieve full motion and the desired viewing angle from virtually anywhere in a room. The first one I could find with a long enough reach for what I needed. 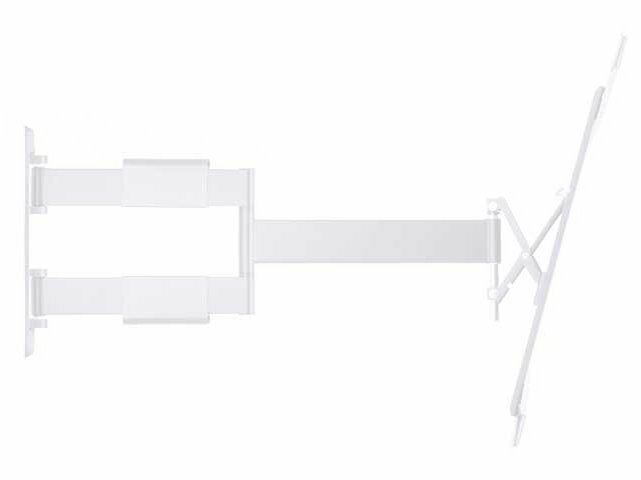 These brackets have small footprint on the wall .You need to position on the wall taking in all angles you will use if any obstructions are there. No Make sure you have correct screws to go into back of tv including any spacers u use,must not be too long.